Knowing this could save a young life. 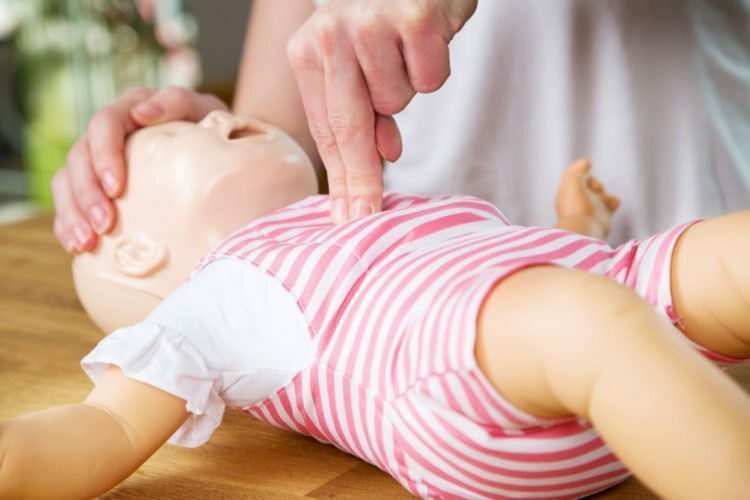 It’s not something you ever want to have to do, but it’s something you should definitely know—how to do CPR on an infant (less than 12 months old). 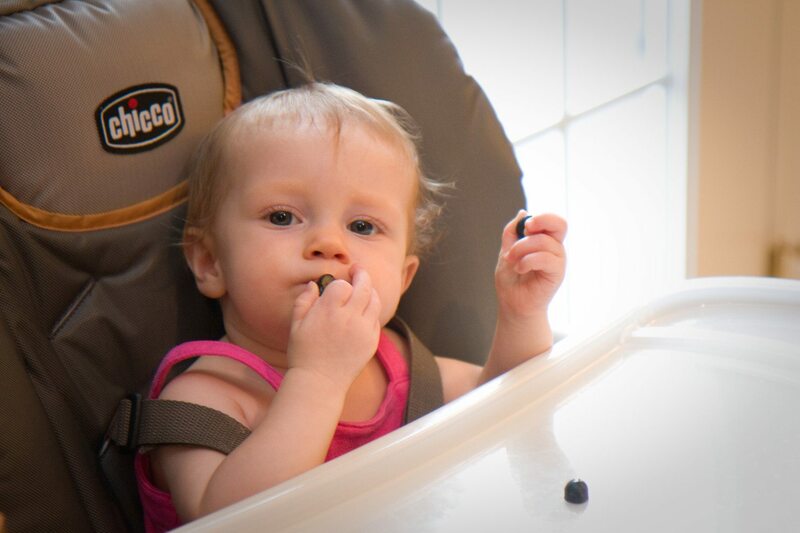 When babies are crawling and picking up every little thing (and then putting said thing directly into their mouth), choking hazards are a real and serious risk. So here’s what you need to know to make sure you are prepared in case of a choking situation. It’s key to look for signs of choking first. Is the baby blue in the face, gagging, coughing? You’ll need to figure out whether or not there is a partial or a complete blockage of the windpipe that is causing the baby to choke. Then, you can proceed to CPR or an attempt to eject the blockage from the windpipe. 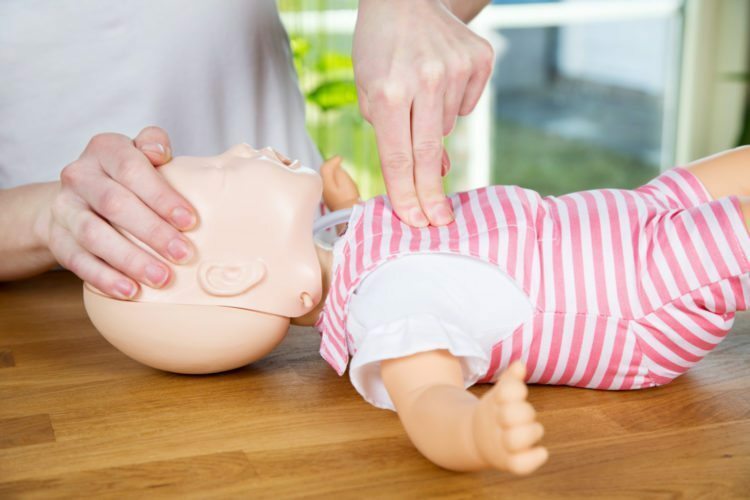 If you need to immediately begin CPR, according to the Red Cross, the first thing you should do is check for signs of danger—if the scene is safe, you can approach the child or baby. Then, they recommend you flick the bottom of the foot to elicit a response from an infant. If they do not respond, immediately ask a bystander to call 911 as you begin to administer CPR. An important note: If you are alone, start CPR before you call 911. Administer CPR for two minutes before calling. Step 1 – place the baby on their back. Tilt the head back slightly and lift the chin to clear the airway. Step 2 – Check for breath sounds. Listen very carefully, but not for more than 10 seconds. Occasional gasps do not count as regular breath sounds. Step 3 – Deliver two rescue breaths if the infant isn’t breathing.  Make a complete seal over the nose AND mouth with your own mouth. Blow in for one second to make the chest rise visibly. Then, deliver the two rescue breaths. Step 4 – If the baby does not respond to the rescue breaths, begin the physical CPR. Use two fingers to deliver 30 compressions about 1.5 inches deep. Step 5 – Give two rescue breaths as explained in Step 3. Listen carefully for breath sounds. Repeat steps two through five until the infant shows obvious signs of life, until an AED is ready for use, or someone like an EMS or a trained responder is available to take over. Do not continue CPR if the scene is unsafe for you or the baby. With the baby face down on your arm, support the head with your hand and keep the chest higher than the head. Using the heel of your hand, give five firm blows between the shoulder blades. Alternate between five back blows and five chest compressions (as detailed above in Step 5), rolling the baby from back to front, until the object is ejected or the baby can forcefully cough, cry or breathe. If the baby loses consciousness with the object still stuck in the throat, place the infant on a flat, firm surface and begin giving CPR as detailed above. Note: This information should not be used as a substitute for training by a professional. It’s a good idea for all child an infant caregivers to take a class on how to properly administer CPR.